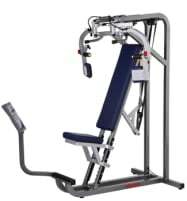 A Butterfly machine strains the large pectoral muscle (musculus pectoralis major) as well as the front part of the shoulder muscle. 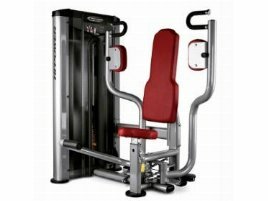 As the butterfly is one of the most popular training machines for the chest muscles, it can be found in nearly every gym. On one hand it is very simple to use and the motion sequences are easy to learn and on the other hand it trains the chest muscle aimed and effective. 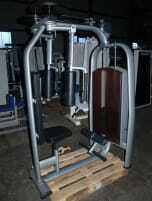 It is a machine that is equally popular among men and women which often causes queues in gyms. 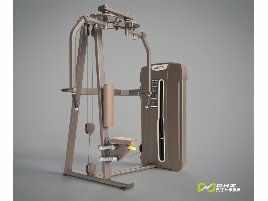 How does the training on a new or used butterfly work? 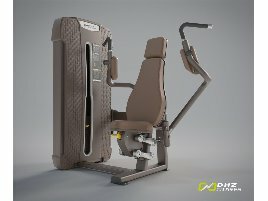 The athlete sits on the padded seat of the butterfly machine with the back pressed to the back padding to have a straight upright position. Now he or she has to grasp the grips with nearly stretched arms, but not completely stretched to be easy on the elbows. The grips have to be lead together in front of the chest slowly, concentrated and controlled. 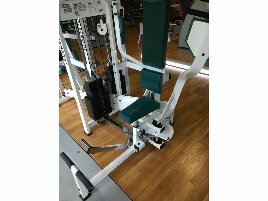 It is recommendable to use light weights in the beginning and increase the load after some exercising as well as get advice from a trainer to avoid wrong body posture and movements. It is important to gain drive not through the upper body but the arms. You should also take care not to fully stretch the arms. It is also essential to warm up and stretch your body before training on a new or used butterfly. 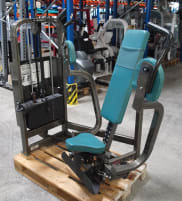 If you want to buy a new or used butterfly for your home, you should get advised by a fitness trainer in advance, because doing exercises correctly is important to avoid injuries. Training at home saves you a lot of time, because you don’t have to leave the house to go to a gym, but can do training with your own new or used butterfly at home at any time you want. 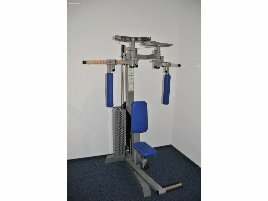 On fitnessmarkt.com you will find a wide range of new and used butterflies. 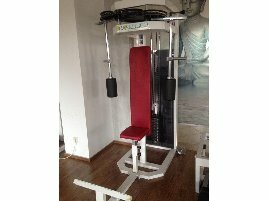 If you are closing a gym and want to sell a used butterfly, just create an ad on fitnessmarkt.com. It is recommended to give a detailed description of the used butterfly so the prospective buyer has the most important information just at a glance. 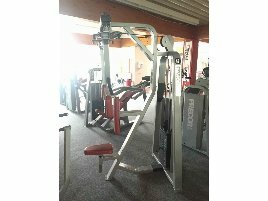 It also supports the sales opportunities to add pictures of the machine to your ad.